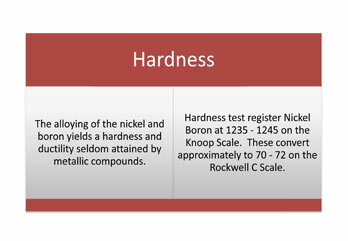 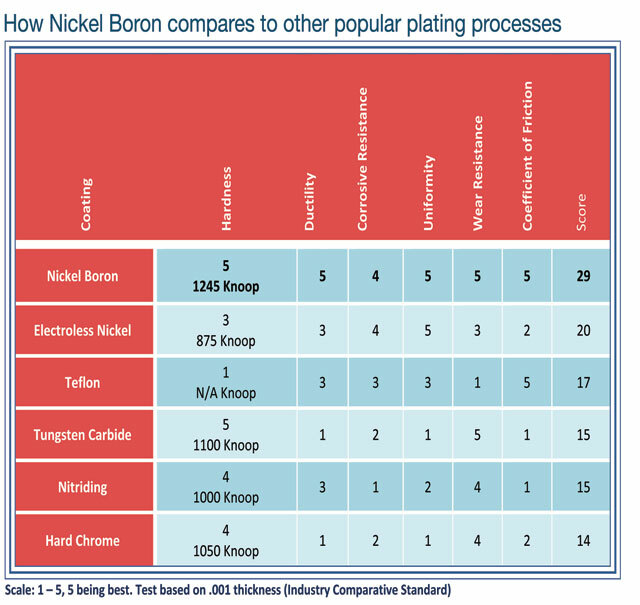 Nickel Boron© is a proprietary process designed by the engineers of Anodyne that provides extreme hardness, corrosion resistance, ductility, and low friction. 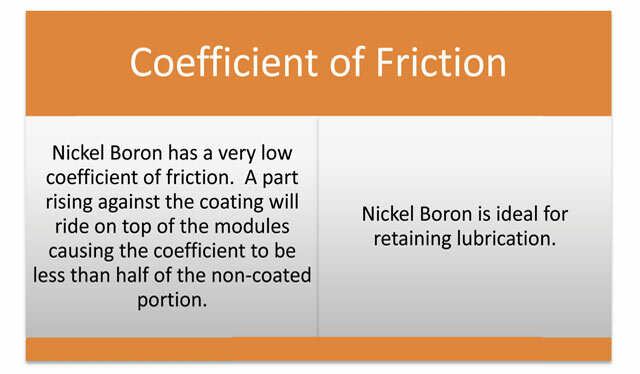 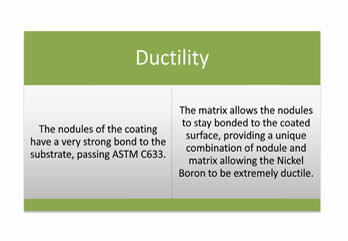 The Nickel Boron coating is designed so that the parts can withstand elevated operating temperatures and corrosive environments. 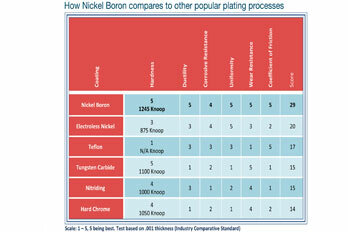 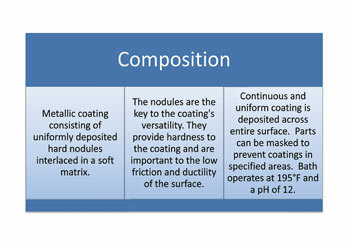 As a result, Nickel Boron is a vastly superior process to many common plating techniques. 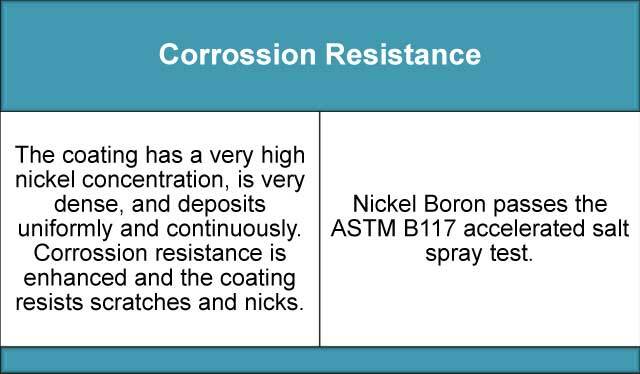 Nickel Boron coated parts are applied uniformly, have the proper dimension, and finish immediately after application, requiring no secondary machining. 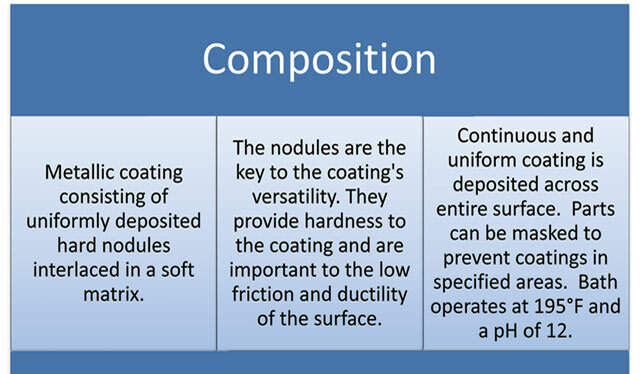 Many other processes, especially hard chrome, tungsten carbide, and flame spraying require secondary machining grinding operations. 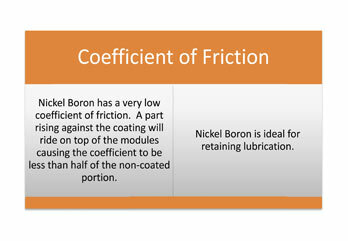 Teflon and electroless nickel offer good corrosion resistance, but Teflon cannot withstand high temperatures and is easily scratched. 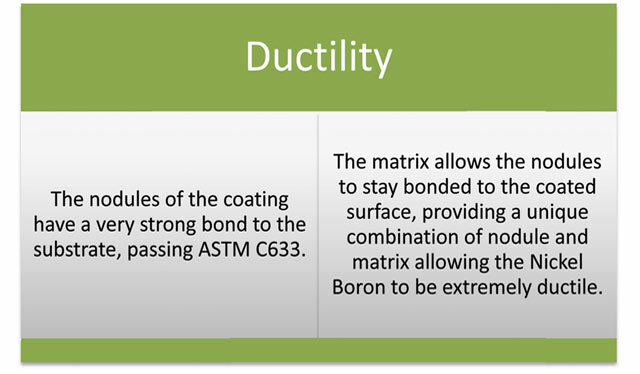 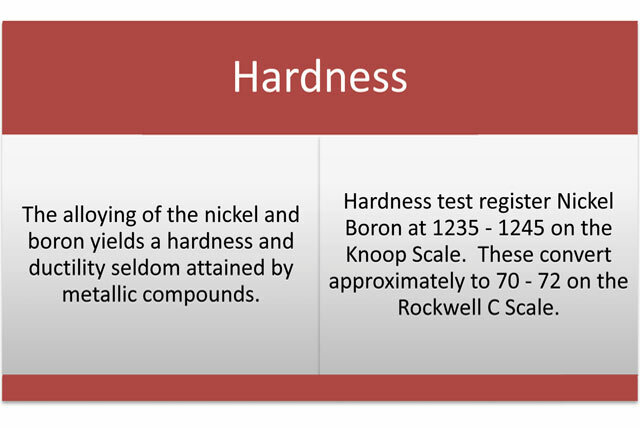 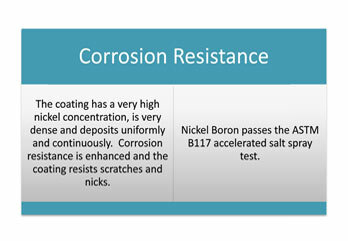 Electroless nickel plating can withstand high temperatures but will crack when the part flexes - it cannot withstand physical shock nor is it as hard as nickel boron.